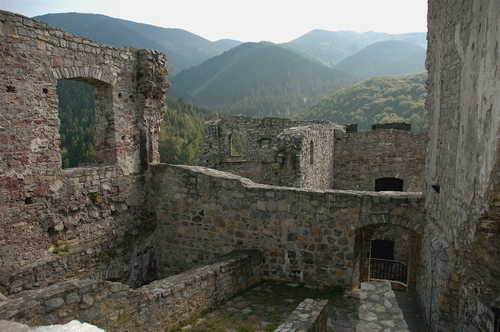 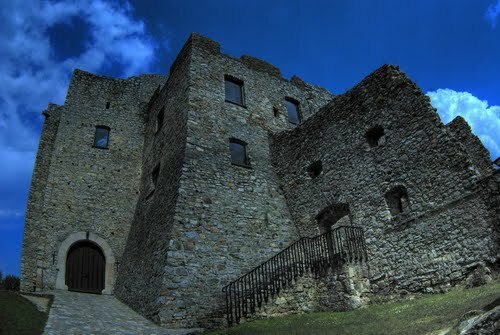 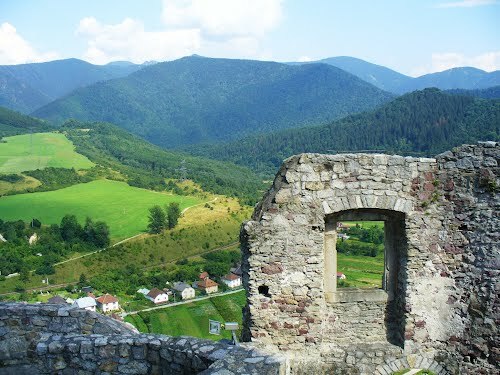 The Strecno Castle is a reconstructed ruin of a medieval castle of an irregular plan located in northern Slovakia, 12 km east of Zilina. 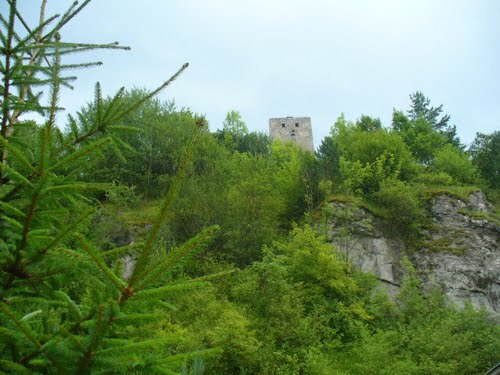 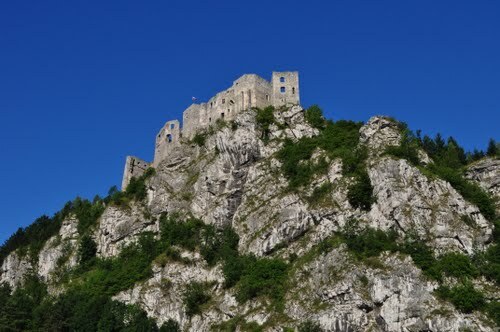 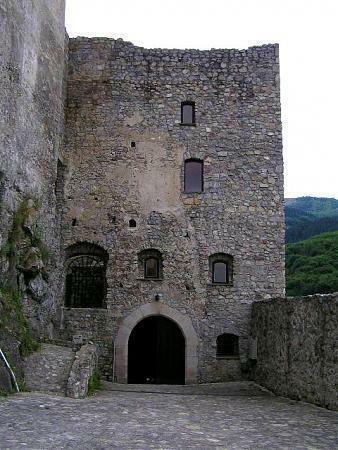 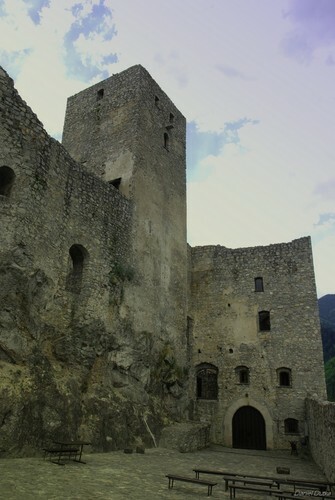 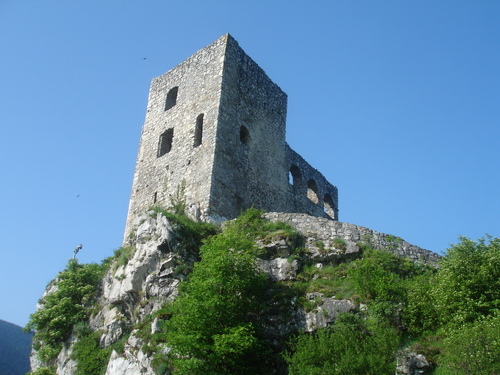 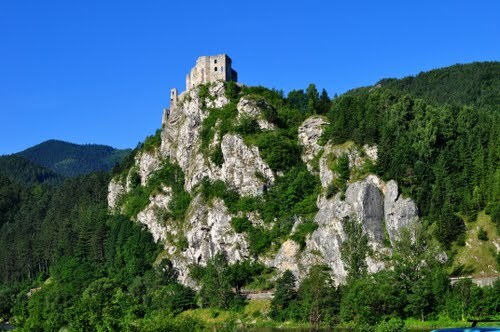 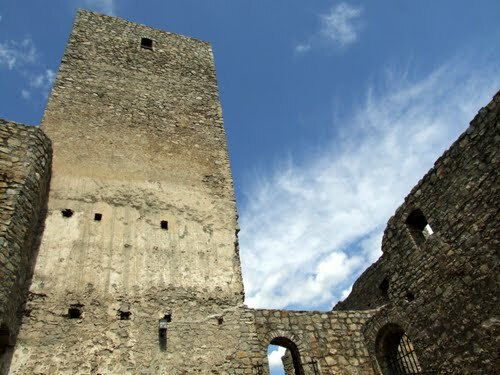 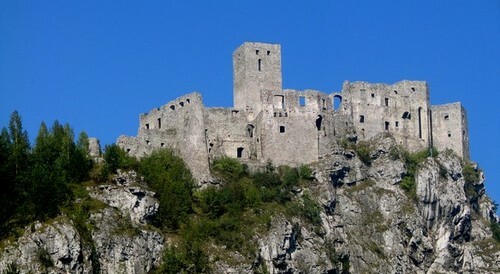 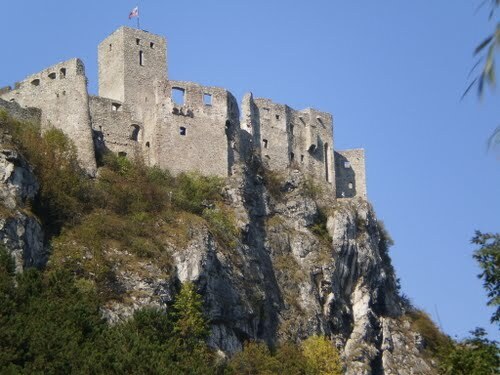 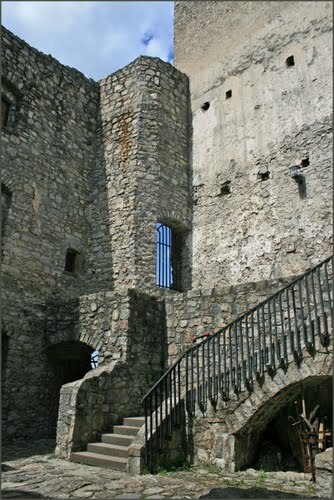 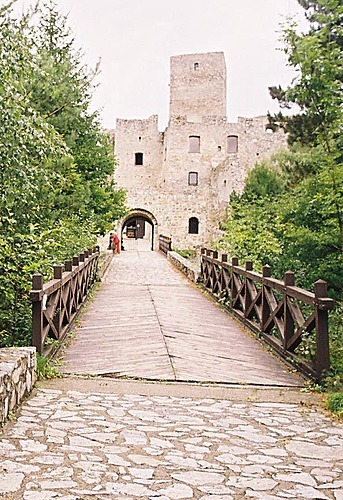 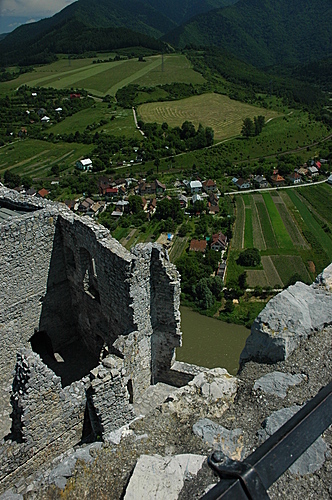 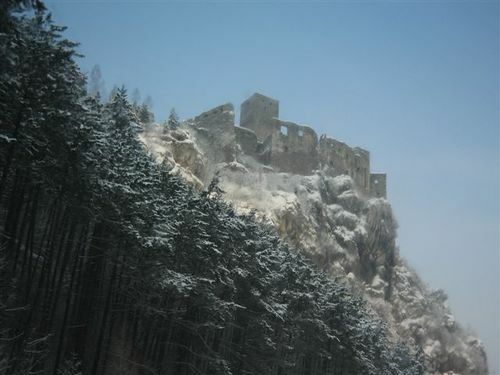 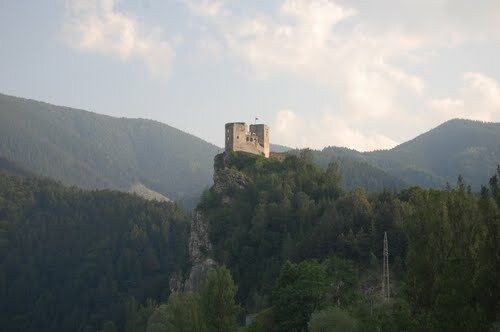 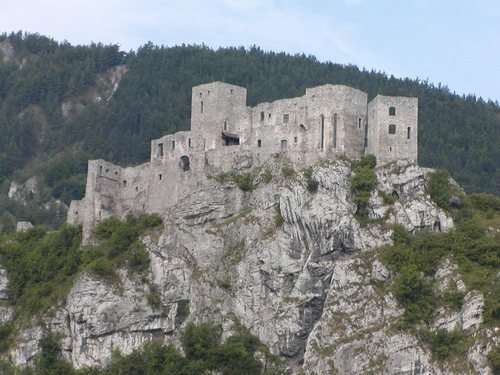 The castle stands on a 103 meter high calcite cliff above the international road E50 and village Strecno. 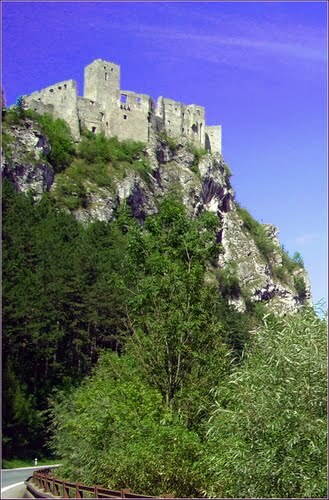 Along with the Old castle constitutes a significant landscape landmark of the Upper Vah region. 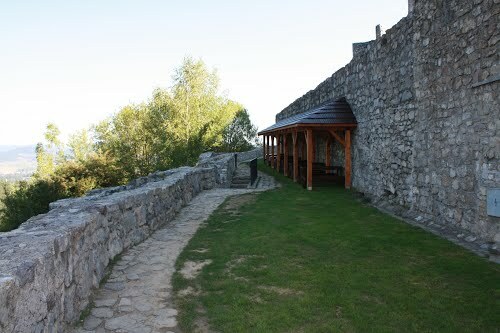 Nowadays, after reconstruction, there are expositions of the Vah region regional museum. 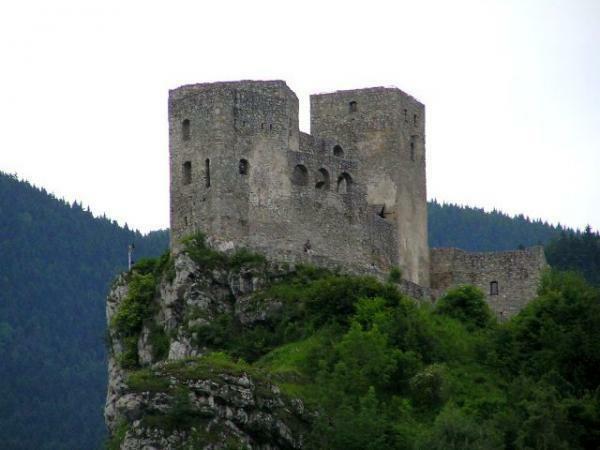 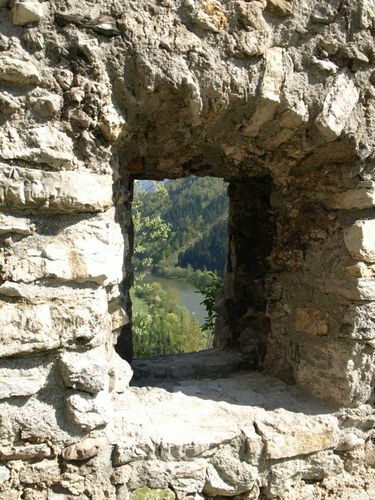 The first recorded mention of the stone castle is from 1316. 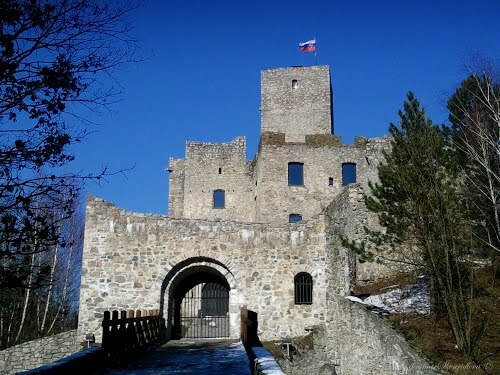 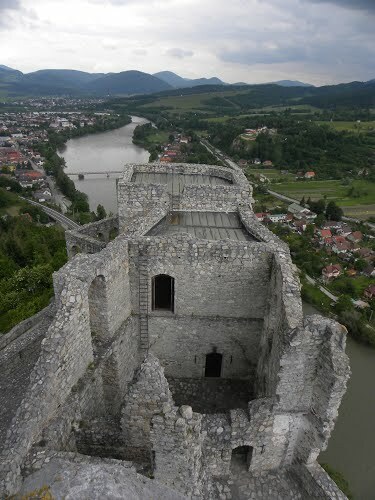 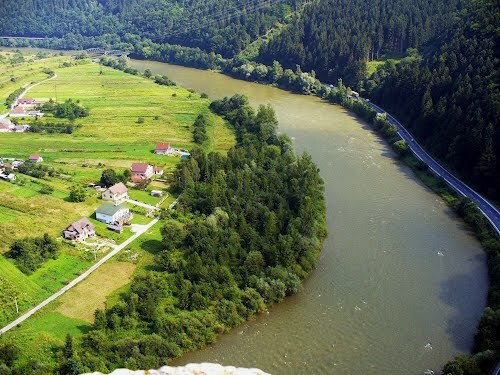 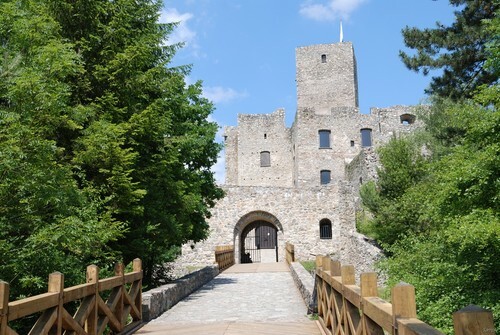 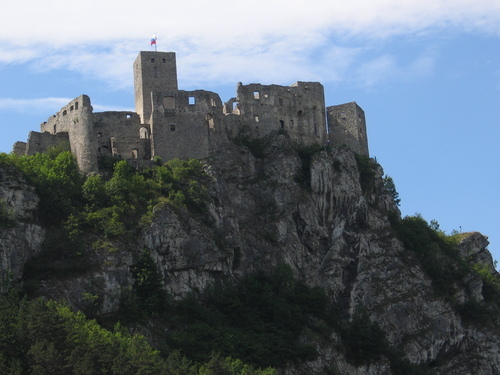 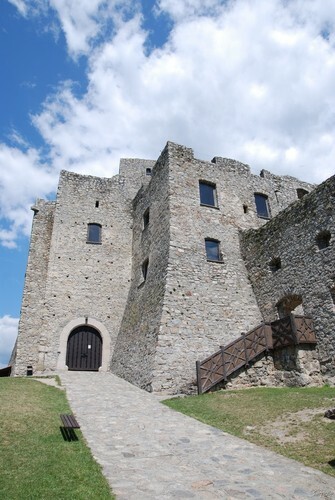 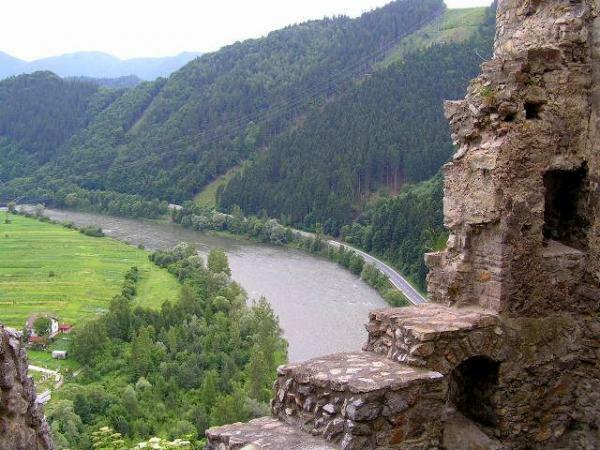 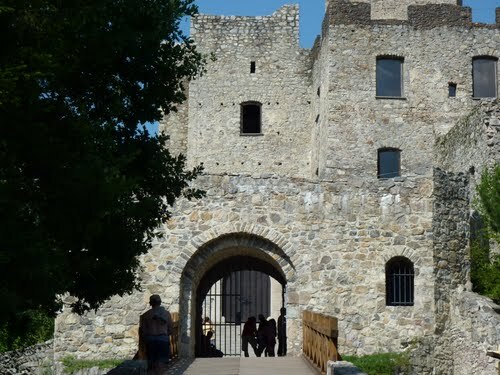 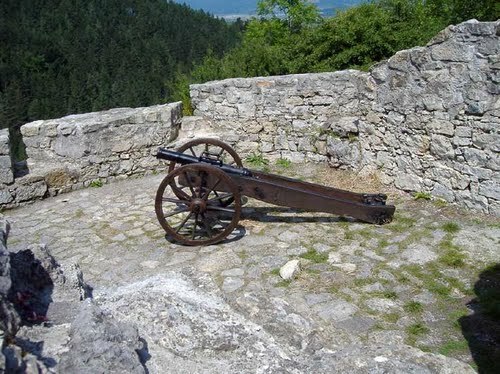 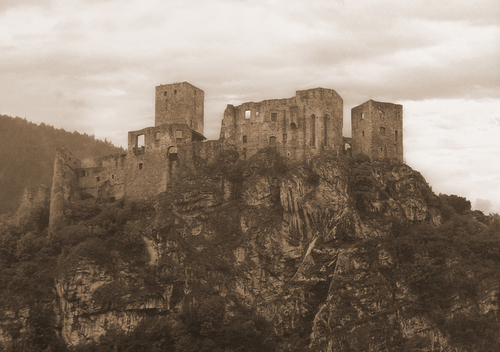 Today the castle belongs to the national cultural heritage of the Slovak republic. 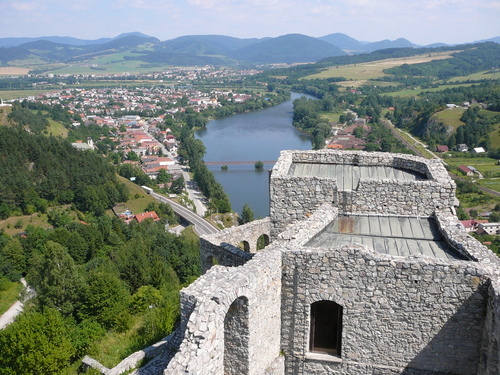 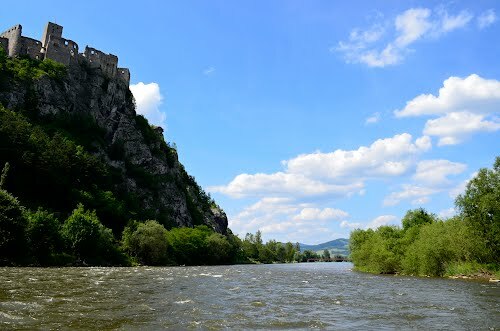 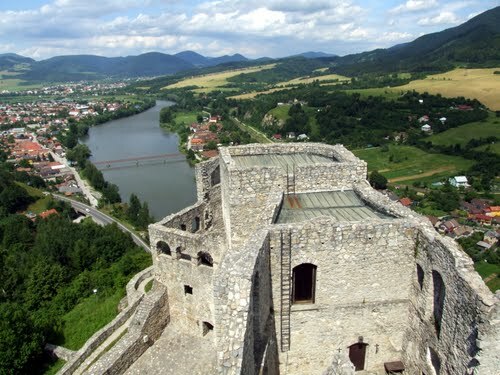 Castle "Strečno" and River "Váh"